Home/About us | Welcome to our website! 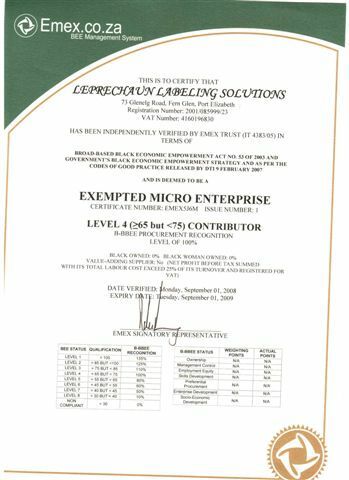 Leprechaun Labelling was formed during 2002 to provide a total solution to accommodate all your labelling and barcoding requirements. In addition to labels, we also supply a large variety of thermal transfer printers, label design software and Thermal Transfer ribbons.